By CNN'S NOAH GRAY CONTRIBUTED TO THIS REPORT. 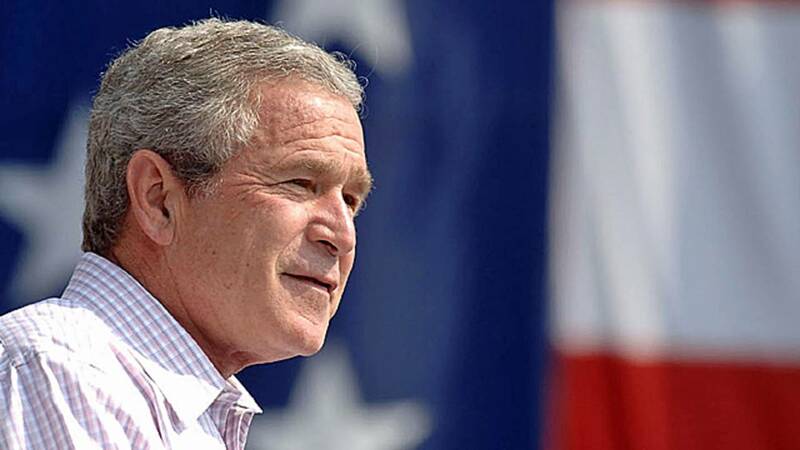 (CNN) - Former President George W. Bush called for federal lawmakers to "put politics aside" and end the government shutdown in an Instagram post Friday that showed him giving pizza to his Secret Service detail. "@LauraWBush and I are grateful to our Secret Service personnel and the thousands of Federal employees who are working hard for our country without a paycheck," he wrote in the post, with a photo of himself bringing his detail boxes of pizza. "And we thank our fellow citizens who are supporting them," Bush added. "It's time for leaders on both sides to put politics aside, come together, and end this shutdown." Bush's post comes as the shutdown is in day 28 with no sign of a consensus in sight, as talks between President Donald Trump and Democratic congressional leaders stall amidst partisan snipes. Secret Service agents, charged with protecting current and former presidents and their families, have remained on duty throughout the shutdown -- but the stress of working without pay has hit many of them hard. The Secret Service employs 7,222 people, nearly 6,000 of whom are working without pay, while more than 1,200 are furloughed since they were not deemed essential, according to the Department of Homeland Security's shutdown plans. If lawmakers do not come to an agreement by Tuesday night, in time for the government to make payroll, federal employees are slated to miss their second paychecks of the shutdown.